After the trial and tribulations of Lithuania and Poland we were very much looking forward to arriving back in Germany. Berlin was our first stop on Sunday afternoon and we set out to find one of the campsites that is still open in late October. Of course, we were met with another road closure, which added extra time on to our trip. Thankfully around 3pm we made it to City Camp 1, a rather picturesque campsite on the outskirts of the city with clean amenities. JACKPOT! The reception area opened at 4pm and we headed there to pay, and ask about washing. I hadn’t washed my clothes in 8 days and was quickly running out of things to wear. The receptionist informed us that the lady who shows you how to use the washing machine and dryer wasn’t on this evening and we would have to wait until they opened at 8am tomorrow. Urm show us how to use the washing machine and dryer? Seriously? I’ve been blessed with a mother and father who more than happily do my washing for me whenever I go home, or when they visit, but I was also taught how to do it myself many years ago. I was pretty annoyed by this because a) I desperately needed clean clothes and b) it meant we would be delayed in the morning, hanging about to do washing instead of exploring. It really just came down to the typical German service which politely putting it is bloody woeful. For a country that produces great cars, technology and appliances, their other services are completely inefficient and often hostile. It’s rather difficult to camp without water and while we were waiting for our washing and cleaning out a waterless Scarlett on Monday morning, we decided e would drop her back a day early and book a hotel for the night in the hope of actually getting to see some of the city as we were flying to Munich at 1pm on Tuesday. Hotel Nikolai Residence was a lovely change from camping, we rolled in at 3pm, and were worried that most of our day had been wasted. After the receptionist made us a coffee, we set out on our own walking tour, determined to see as much of Berlin as we could. 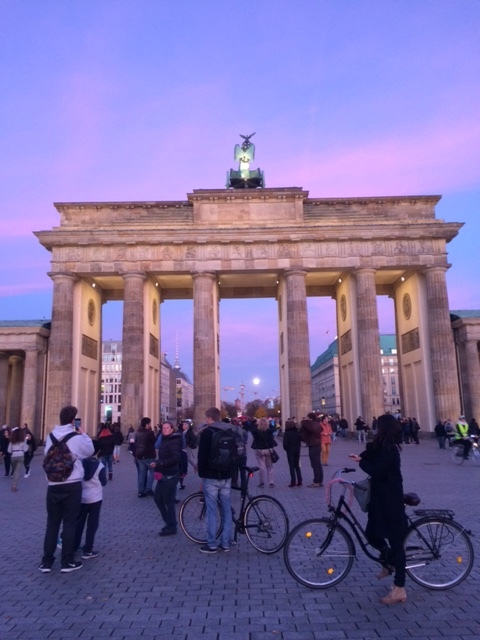 We walked down to Brandenburg Gate, stopping and landmarks along the way and were lucky to get there as the sun was setting and it was almost full moon. Just beautiful! 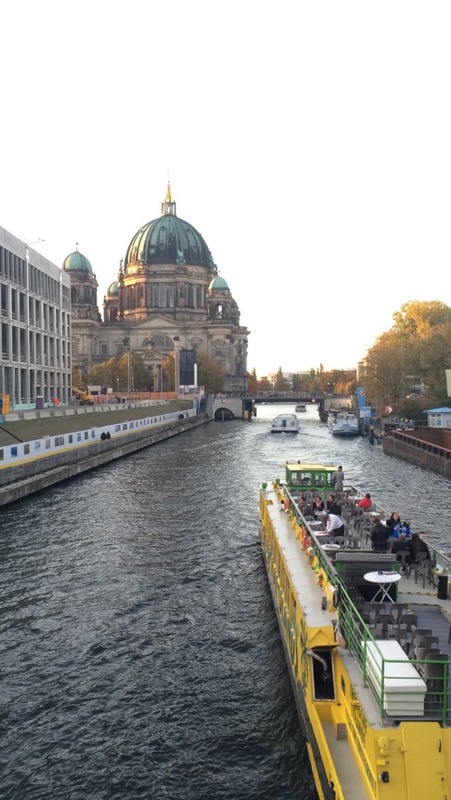 European cities love boat tours! 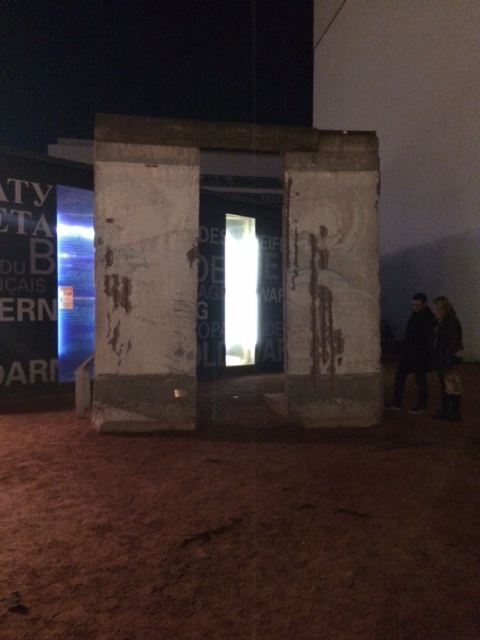 We then headed to the Holocaust Memorial, wandered through the Berlin Mall and made it to Checkpoint Charlie where a piece of the original Berlin Wall is displayed. The history Berlin has to offer is nothing short of incredible and I loved reading all the information they have on each point of interest. 3 hours and 7 kilometers later we were pretty happy with our efforts and I was pleased I had finally seem some of Berlin. Third time lucky! 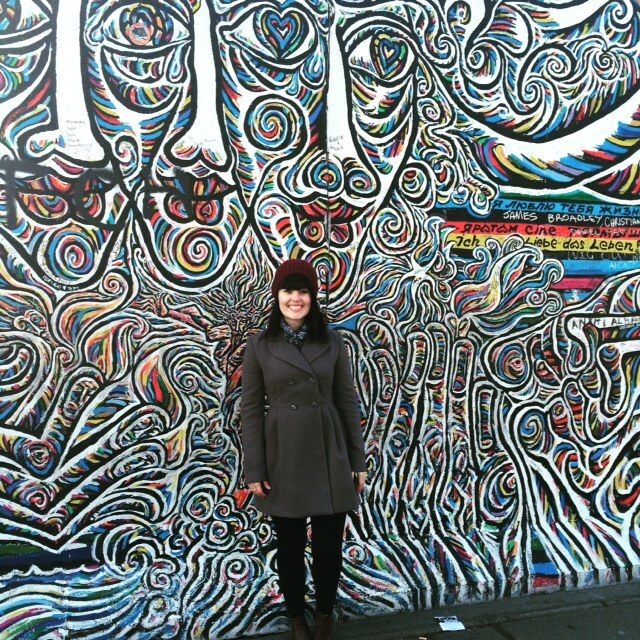 On Tuesday morning we woke up early, explored the East Side Gallery. 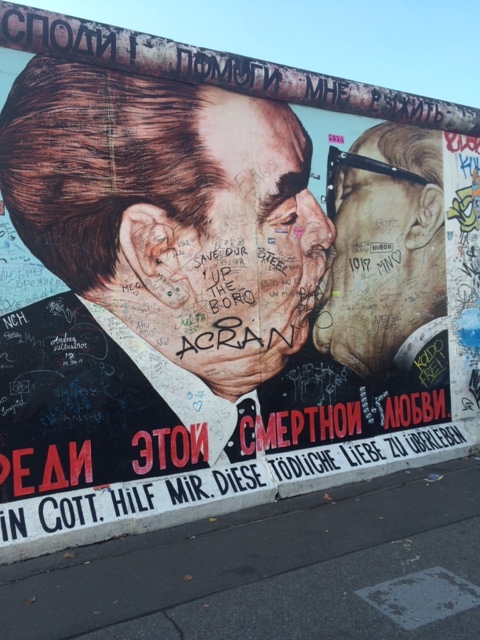 It’s such a colourful place & incredible hard to fathom that the wall only started being demolished in 1990. After the gallery, we made our way to the airport for our next and final stop of the trip, Munich! Awesome post Britt! I read these as soon as you put them up and it makes me more and more jealous of you two over yonder. Not going lie Darwin is bummer central, but compared to the trials and tribulations of Deutschland it’s menial! For your sake and mine, just stay and keep taking everyone away from rinse and repeat life for that split second! If you could secure a fleet of Scarlet type wanderers and convince my boss to give me a holiday I’d be away in a heartbeat! And I know a few dudes who would all about it, as a side note. Move over Topdeck and Contiki, Scarlett Travels is hitting the market. My god that would be so cool! This is hard for me to admit but Brad is much more talented at photo taking then me. He has an eye for it! 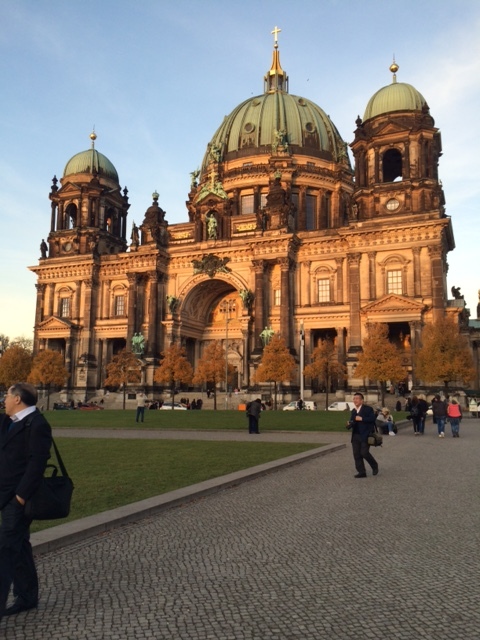 That’s so annoying you had a bad start in Berlin, but glad you eventually got to see some of the city! It’s one of my favourite cities, and the photos of Brandenburg Gate at night are just stunning! Thanks Becky! 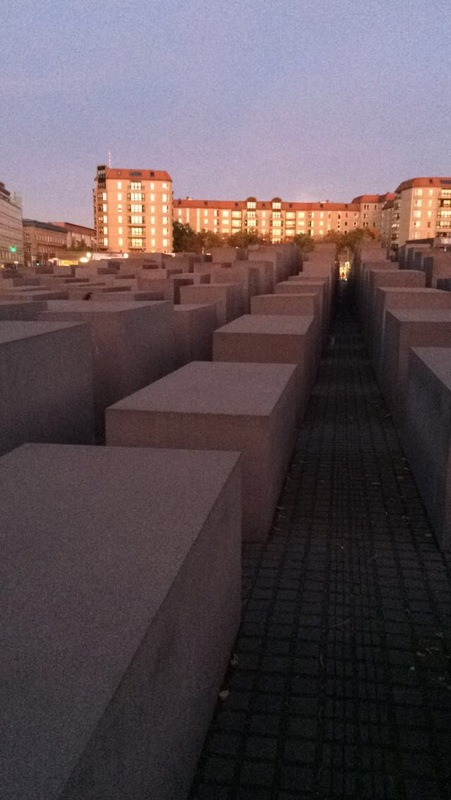 Berlin is incredible, I will definitely have to go back there for a forth time to explore a little deeper! Isn’t Berlin amazing? It’s one of my favourite European cities of the ones I have visited. Good to see you have the obligatory shot in front of the remaining bits of the wall!